I have always wondered that! Haven't you? Then there's the nagging question, what if one of my kids should be killed. Will I see them in eternity? Just make the assumption that attending church and having gone forward once to except Christ as Savior is enough to get them there. If you own a home, but didn't take the time to open the envelope, read over the agreement, sign, Enclose a check, and mail the insurance agreement back to the insurance company, you'll have only yourself to blame if the house burns down the insurance carrier declines your claim. A solid understanding of this book is more important than that! Get it! Read it! Do it! And get it into the hands of anybody you Love! 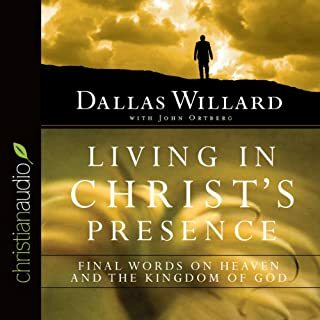 Willard gives an astounding overview of Matthew 5-7 in what I call "20 minutes that changed the world." He gives us simply an amazing understanding of the application of the context of our Lord's day as well a direct application to my life today. I highly recommend this life changing view of The Sermon on the Mount. Mortimer J. Adler, in his classic How to Read a Book, refers to those few, very rare books that are well worth reading over and over. This is without reservation one of those rare gems. And not just to read, but to use as a faithful compass. 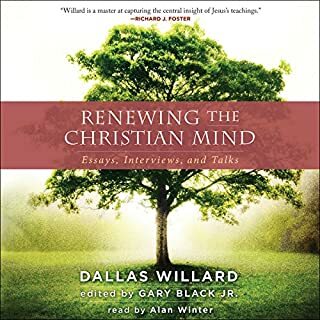 Willard gathers and synthesizes millennia of the most cogent wisdom in the practical matter of following Jesus as He intended to be followed. Transform in Christ or conform to Christianity? One need only attend many local churches for any length of time to see why many find no use for church, or Christianity as most have experienced it. How deeply sad. I encourage all not to dismiss Christ based on the poor representation of some. He is most worthy of worship and truly amazing to know. 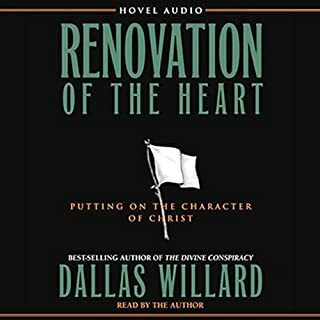 I enjoyed listening to this book and feel it was beneficial for a better understanding of how to effect the great commission. He describes spiritual formation and its benefits, though more in theory with references to other sources on the disciplines. Basically, it helped me realize why I often just want to spend more time with Jesus and feel uneasy about evangelism the way I learned it 15 years ago. The print version would be nice to make it easier to review and reference certain parts. In reality, I would have trouble getting though the whole book in print, though, so I enjoy listening even if I may not get as deep of an understanding. The audio version is very well done, so I think it depends on what you have more time for. 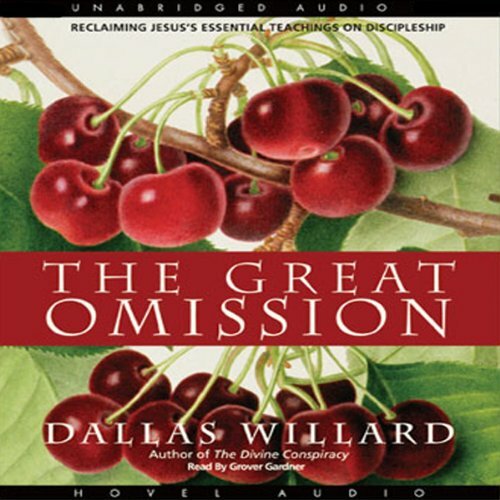 Willard explains brilliantly how there is a modern day problem of merely believing but not following Jesus. He comprehensively uses scripture as well as life examples to explore and offer remedies for this problem. He does this all while staying centered on our own personal need to be relating to God and trusting him within our own hearts and minds vs. is trying to fix this problem on our own. This text outlines the path of spiritual formation; start with solitude and prayer. The goal is true discipleship of Messiah Yeshua (Jesus the Christ). 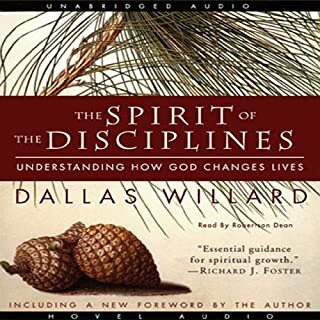 The place and context of spiritual discipline is explained. Multiple rereads are very likely. What made the experience of listening to The Great Omission the most enjoyable? 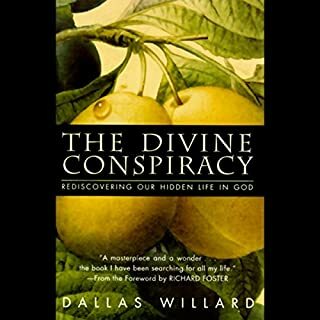 As usual I find what Dallas Willard writes excellent in so many ways. He is succinct, eloquent, accurate like a lazer and his writings are filled with truth and grace. This book will inspire you to press deeper into Jesus and to want to follow Him. The only reason that I didn't give it five stars is that I think that some of his book are even better than this one, but don't let that put you off. Buy this book - you won't regret it. Grover Gardner's performance is up to the task! Saying what needs to be said. The book is excellent as well, weather you are a pastor our just trying to deepen your relationship with God. He basically says that we (North American Christians) are shaped by our culture of consumer christianity whereas we should instead be seeking to imitate the image of Jesus as an apprentice (disciples). 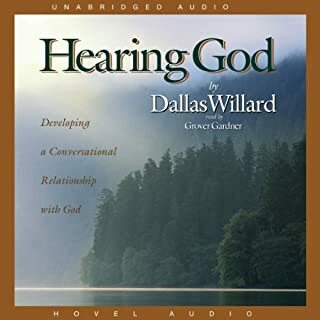 absolutely loved this book, I had to listen to most of it at least twice.